I love the holidays and all the sweet treats and savory foods associated with them. What about you? Since I started implementing these strategies I’ve listed below I stopped gaining weight during the holidays. Which of these could you implement that will help you get past the holidays without gaining weight? First off, let’s just get this out of the way. The holidays are for enjoying great food and family. Don’t go thru the holidays feeling guilty about everything unhealthy you eat. Guilt is the number one reason most people end up overindulging. Just enjoy the good food and implement some of the strategies below to help you avoid gaining weight while enjoying yourself at the same time. Essential Oils can help you relax during the holidays and help you avoid stress eating. Try diffusing some lime, lavender, or orange to help relax you. 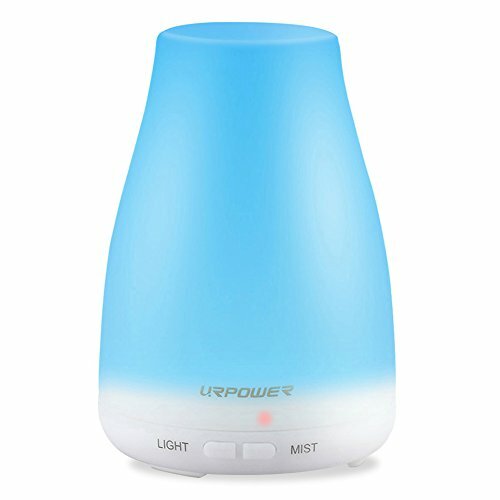 This is my favorite diffuser, snag it for yourself if you see it under $20. They make great gifts for almost anyone on your list. Also, essential oils can help relieve the bloat and yucky feeling of overeating or when foods don’t sit well. Peppermint oil is my go-to oil for just about everything related to stomach issues. Diffuse it, sniff it, dab a drop on your tongue, or rub a few drops on your stomach (mixed with a bit of coconut oil). If peppermint doesn’t do the trick use either Digest Help from Simply Earth or Tumbliss from Isagenix. They are blends made specifically to calm stomach issues. It sounds cliche but drinking enough water is often one of the first things we forget to do during the holidays when we are busy. If you will be traveling you may need to adjust your water intake to different times of the day but be sure to stay hydrated. Drinking water will help flush toxins from our body and help you stay full in between meals. Add some lemon to the water to make it extra detoxifying. Lately, I’ve been adding a tablespoon of apple cider vinegar to 4oz water and drinking that before a big meal. It seems to cut my appetite and bloat. Be sure to get organic apple cider vinegar with the “mother” like this brand. Again, another thing you know but forget especially with so many options at the table. Take a small amount of your favorite foods first. Don’t take 2 big scoops of dressing or yams covered in marshmallows. Instead, take more turkey and just a small spoonful of sides. Take one piece of pie and walk away from the dessert table or half a piece of two different kinds. Try drinking some coffee or tea with your dessert. Whatever it takes to eat less and fill full. One method to help yourself eat less is to tell yourself “I will eat this piece now and another piece tomorrow“. You’re delaying eating. Not denying yourself. Most of the time when you do this you never end up eating that other piece the next day. If you do eat it the next day you’ve still saved yourself the calories the day before. Whatever you do. Don’t binge. If you have a second piece of pie just make yourself stop. Don’t go get a handful of candy or another serving of dressing. Bingeing often leads to guilt and that’s against rule Number ONE. Continuing on that idea of delayed eating is a method called intermittent fasting. You just delay your eating to a window of time during the day and you fast from food during the other hours. Beginners usually start with 8 hours of eating and 16 hours of fasting. Remember, you will be sleeping for at least half of your fasting window. Fasting from food gives your body time to burn off the sugar and fat. The longer the fast the better results some people get. You have to experiment with what works for you. My magic eating window is 5 hours. 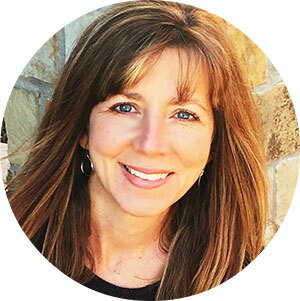 I learned about eating in a smaller window in this podcast by Chalene Johnson. She interviewed Bert Herring about why 5-hour eating window works so well for many people and how he figured this out. 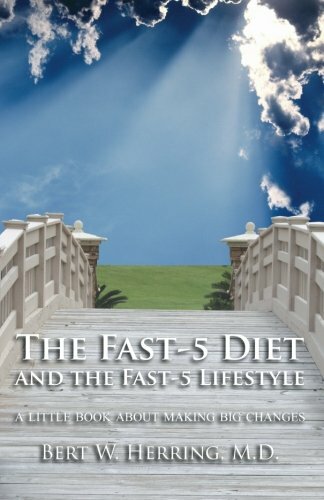 His book “The Fast-5 Diet and the Fast-5 Lifestyle” is really helpful. I don’t suggest most people do a 5-hour eating window year around but it is perfect for the holidays. If you’ve never tried intermittent fasting this is the perfect time to try it out. Believe me, you will feel in so much control when you just stop eating at night and resume the next day when you plan to open your eating window. Don’t fall for the old notion that you have to eat breakfast or that you must eat all day long to keep your metabolism up. It’s not true. Read my blog post about intermittent fasting here. Protein and a little fat can offset the blood sugar spike we have after eating sugar. Before you go to a party or family meal where you know you will have your favorite sweet treats be sure to have a protein/fat snack before you go. A meal replacement shake such as IsaLean by Isagenix has the right combination of fat, protein, and carbohydrates to help stabilize blood sugar and fill you up so you don’t eat as much junk. If you want something a little less filling try a quick serving of IsaPro. It’s a protein supplement with 18 grams of undenatured whey. Taking supplements during the holidays is very important. This is when you need them the most. You need to keep your immune system strong since you are likely to be eating more sugar which will lower your immune system and increase your chance of getting sick. Taking the right supplements can help you avoid gaining weight. Cleanse for Life is my go-to supplement for cleansing all year long but it’s especially important to take during the holidays. The nutrients in Cleanse For Life will help your body naturally remove toxins and help you keep from storing fat. Plus, it is chock full of vitamins and nutrients your body needs. Learn to make muffins and cookies from Almond Flour or Coconut Flour to satisfy your sweet tooth. They contain healthy fat and protein so they won’t affect your blood sugar the same as wheat flour. Typically I find I eat less when I make my desserts out of these flours because they are more filling. Try this healthier version of chocolate chip cookies that we love. Use stevia or xylitol as sugar substitutes in your coffee or tea instead of regular white sugar. If you don’t already exercise this is the time to start doing something. Take a family walk or bike ride to a park or play catch in the backyard. You simply must move your body every day. Exercise is good for your health and good for the waistline however you don’t have to do as much exercise as you might think you have to. Dr. Bush has a quick 4-minute workout that can help you squeeze some movement into your day that will help you build muscle and fat. Try doing it at least 3 times a day. Listen to what he says about Nitric Oxide. Enjoy the treats and holidays feasts. Don’t beat yourself up when you indulge. If you use the ideas I mentioned above you can get thru the holidays without gaining weight. Especially if you implement Intermittent Fasting and daily cleansing. If you do gain weight during the holiday keep doing the above things and add a 30 Day program like the 30 Day Superfood System. It will help you detox and get back on track. I would love to hear your tips for not gaining weight during the holidays.